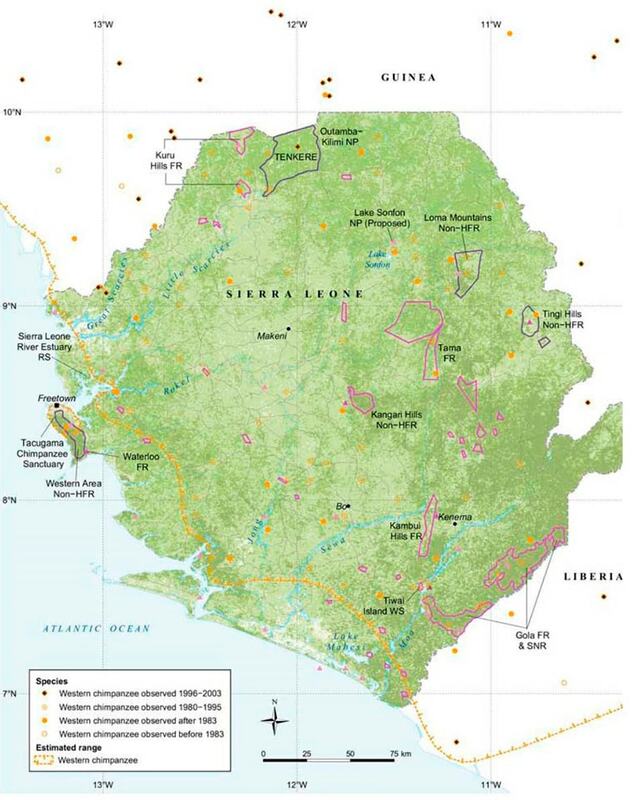 Sierra Leone is home to a very widespread, but unequally distributed, population of Western chimpanzees. As a result of the civil war, there is limited information available on the status of the chimpanzee populations, but a survey conducted in 2010 estimated that 5,500 chimpanzees live in Sierra Leone – more than double the previous estimates. Although significant populations were found in the Outamba-Kilimi National Park and the three Gola Forests, more than half of the country’s chimpanzees occur outside of protected areas. Habitat loss is the primary threat for chimpanzees in Sierra Leone, caused by rapid population growth and diamond exploitation.